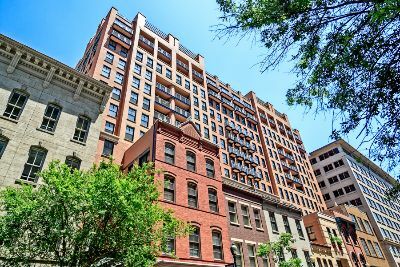 One of the most fascinating condominium complexes in Washington, DC is the Lafayette at Penn Quarter. It is also commonly known as the Lafayette for short, and is connected to a sister building, the Clara Barton. These huge, impressive structures are part of an ambitious adaptive reuse project that began with the historic 1926 Central Armature Building. The original footing is in front, with the larger structures melding behind for an overall look of traditional Victorian grandeur. Located at 631 D Street NW in the District’s 20004 zip code, the Lafayette at Penn Quarter is just steps from the National Mall and easy walking distance to all the all that is synonymous with the corridors of power—the White House, the Capitol Building and the Supreme Court of the United States. With all three branches of the federal government close by, the Penn Quarter community is prime residential territory for those who toil tirelessly in the government sector. And while the Lafayette looks elegant and traditional from the outside, it’s all about modern luxury condos for sale once you step through the front doors. There are 173 residences here, ranging in size from studios to three-bedrooms and from flats to townhouse style. Square footage generally runs between 540 and 1800. Prices start in the $300s for the smallest units and climb into the very high six figures for the largest two-story penthouse city homes with private roof terraces. 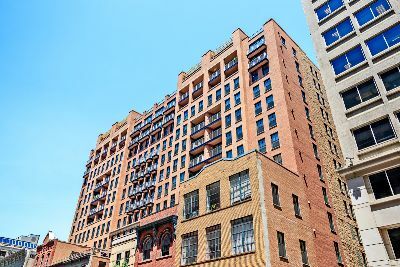 Whether small or large, condos for sale at the Lafayette offer beautiful hardwood floors, recessed ceilings, floor-to-ceiling windows and in many cases, balconies. There are a number of different models, all of which include gourmet kitchens that are open to the living area, with granite countertops, oversized custom cabinets and stainless steel appliances. There are plenty of common amenities as well, starting with the fabulous Art Deco-inspired lobby with twenty-four hour front desk and concierge service There’s also two state of the art fitness centers, a community pub room, a business center and a media and game room. Continuing up to the top of the 12-story pet-friendly building, you’ll find a roof deck with swimming pool, lounges, gas grilles, eating areas and wonderful park-like landscaping. In addition to all the nearby government offices, there’s the world famous museums on the mall, multiple theaters, wonderful shops and five Metro Stations all within a few blocks. Also worth mentioning are the businesses in the original ground level row house spaces, including bars and restaurants like the Partisan and Rasika. Of course, this is the heart of downtown DC which means plenty more great pubs and eateries, all within easy walking distance.